Cloudways is one of the best and most popular hosting platforms that offers hosting services for business owners and blogger. Grab exclusive Cloudways coupon codes, promotional deals, discounts and the special sale on Black Friday & Cyber Monday, New Year and Christmas. Fast Hosting for WooCommerce With Varnish. Get 99.9% uptime on managed cloud hosting for WooCommerce with 1-click WooCommerce deployment, automatic FREE WooCommerce migration, increase speed with PHP-FPM, SSD based hosting, secure SSH & SFTP access, top-notch security, managed backups, easy SSL integration, built-in MySQL manager, pre-installed WP-CLI and much more. Cloudways already hosted 35,172+ WooCommerce stores till now and still counting. Get the faster Joomla Managed Cloud Hosting for matchless performance guaranteed. Some of the best features are 99.999% uptime, hardened security, dedicated server, SSD based storage, user-friendly console panel, restore & rollback and much more. Over 7,489 Joomla websites hosted and still counting. Get flat 15% discount for the first 3 months on Managed Cloud Hosting service. Use our exclusive promo code to grab this offer. 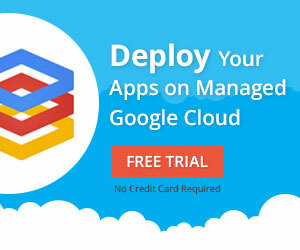 Deploy your apps on managed Digitalocean Cloud with 1-click cloud deployment, 1-click scaling and 1-click management.